The personal injury lawyers at the Orzoff Law Offices have helped many people who suffered burn injuries in car and truck accidents, in motorcycle accidents and in workplace accidents. In one recent case, we represented a woman who suffered third-degree chemical burns to her chest from the deployment of an airbag. The chemicals went through her clothing to burn her skin and she required several plastic surgeries. Burn injuries can be extremely painful. A person with serious burns is at greater risk for life-threatening infections. Skin grafts may be necessary and more than one round of plastic surgery is not uncommon. Even in the very best case, there is usually scarring. You deserve compensation for your financial and emotional damages. Contact Orzoff Law Offices today for a free initial consultation. We handle all personal injury cases on a contingency basis. If we cannot recover financial compensation for you, we won’t charge you a fee. 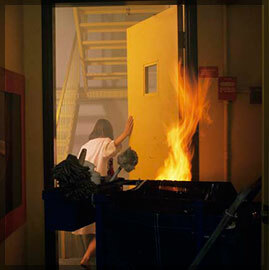 Treatment for burn injuries can take many months. Multiple surgeries may be required to replace skin and to improve the appearance of scars. In some cases, adhesions can form in scar tissue, causing loss of flexibility and movement. And in some cases, permanent cosmetic disfigurement can lead to emotional trauma, loss of self esteem requiring psychiatric and psychological treatment. Whether you were hurt in a car crash or a workplace accident, you can receive compensation for your medical costs, rehabilitation costs, lost wages and emotional distress. Workers’ compensation provides a lump-sum payment for visible scars. Our job, as your personal injury attorney or work comp lawyer, is to ensure you receive full and fair compensation and all of the benefits available to you under the law. We will not let our clients get less than they deserve: see our client success stories. We are dedicated to protecting the rights of injured people and to maximizing their financial recovery after burn, fire or explosion injuries. Our lawyers and staff return phone calls promptly and Spanish and Polish language legal services are available. Contact Orzoff Law Offices today for a free initial consultation.